While the White House remains quiet about whether the Justice Department was right to seize the phone records of Associated Press reporters, on Capitol Hill the top Democrat in the Senate was unequivocal about his opposition. In his weekly press briefing on Tuesday, Senate Majority Leader Harry Reid, D-Nev., blasted the DOJ for its behavior, which included tracking reporters' phone records within the House press gallery over a leak related to an attempted terror plot last year. 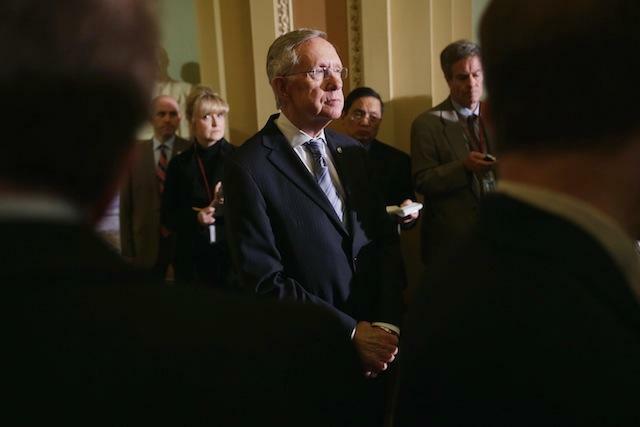 "I have trouble defending what the Justice Department did in looking at the AP," Reid said. "I really believe in the First Amendment. I think it's one of the great things we have as a country. I don't know who did it or why it was done, but it was inexcusable. There is no way to justify this. In my career, I've stood consistently for freedom of the press." Reid added that he would make a determination about whether "legislative action" is needed in response.